Back in winter last year I discovered a strange-looking chickadee at a Provincial park not too far from Saskatoon. The park is a haven for Black-capped Chickadees, that are actually very used to humans and allow us to feed them by hand. Most of the chickadees here don't care if you have food or not, half the time, and will readily try to land on you regardless! 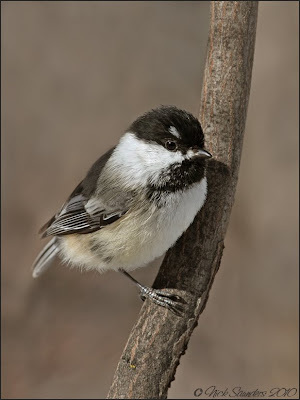 It was at this park I noticed an unusual looking bird, that looked like a Black-capped Chickadee, but had a thin white eyebrow stripe above both its eye's. 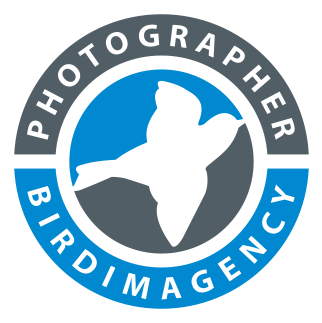 Luckily I documented this bird with a couple of photos, and the general consensus was that this bird was a possible hybrid between a Black-capped and a Mountain Chickadee. 2 days ago I was able to find the bird again, or should I say , it found me ! it is nice that you thought about taking pictures of it to document it... So are you counting that as a lifer ;-) Nice link, thank you very much!! What park is this at? I would love to go check it out. ...that's so cool. I love how he found you! The Park is Pike Lake Michael. Lovely shot Nick. He's a handsome little fellow. What great fun to have that opportunity!! Checked out the link great stuff!!! He is still a cutie.I think the Chickadee is perhaps my all around favorite bird. A very interesting find Nick. The link is vey informative.